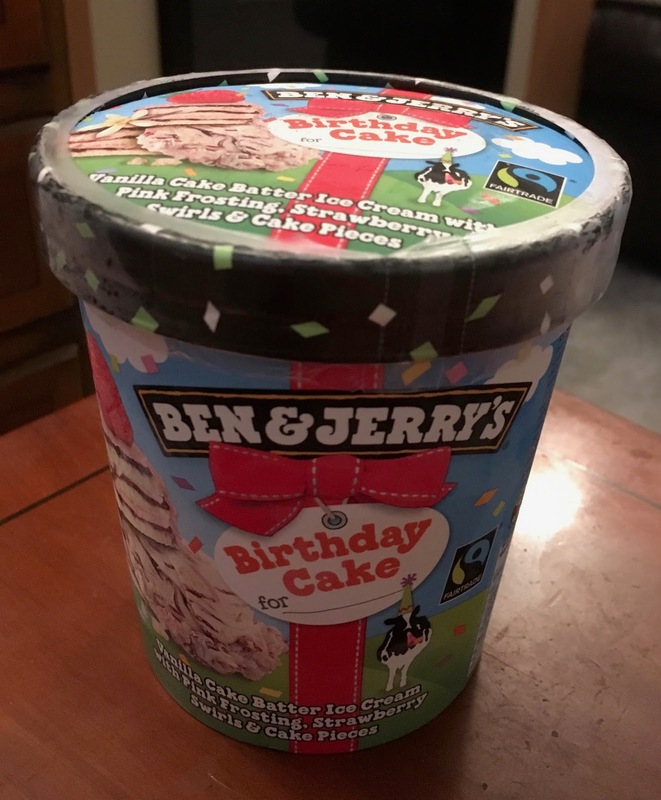 It’s not my birthday, which made me feel a little strange buying Ben and Jerry’s new ice cream as it is Birthday Cake favoured. I don’t object to a cake flavoured ice cream, it just strikes me as a little weird to narrow this to birthday cake, it makes me feel like it should only be purchased to celebrate an actual birthday. If you were having a party with multiple guests, or a children’s party, I think Ben and Jerry’s isn’t the ice cream of choice really, it is a premium price, and the cost would soon rack up. It is the kind of ice cream I like to keep to myself! To be fair it is nearly £5 a tub, and a small tub at that, it isn’t really meant for sharing to a large party. Anyway, it wasn’t purchased for a birthday party, or indeed ant birthday, but I still bought the ice cream and managed to open it and taste it without the need to celebrate. 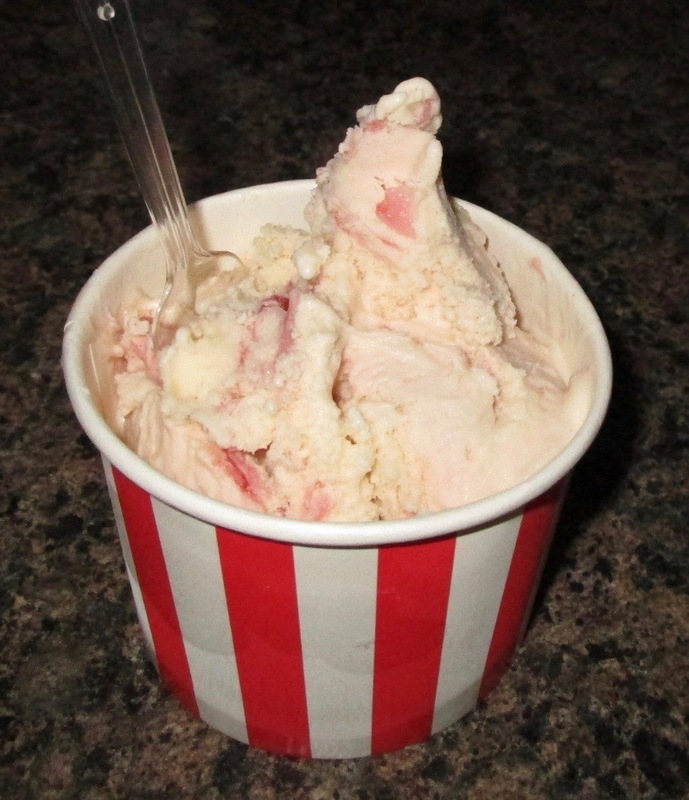 The ice cream is slightly pink in colour, as one of its extras its birthday cake fondant icing, there are also pieces of sponge cake mixed in. As someone whole loves a mix of texture I have to admit to enjoying the sponge cake cube mouthfuls, they were fluffy and full of vanilla baked cake flavour. The fondant icing was sweet and fruity, and added a good flavour of strawberry, much like a layer of jam in a birthday cake. Everything about this ice cream was sweet, cakey and delicious. It reminded me mostly of cupcakes, and it would have been much easier to buy without feeling weird if it wasn’t Birthday Cake but Cupcake flavour instead. As it, I feel I may need to google famous birthdays and find a celebrity’s special day to celebrate and give me an excuse to buy this again. It is a proper treat of an ice cream, and in retrospect I don’t think I’ll need much of an excuse. It's on sale at a couple of supermarkets. It's good but not quite as good as Baskin and Robbins birthday cake icecream.